You already know you can barely hear or can’t hear a thing. Your hearing aids have been giving you fits, you have gone crying to your hearing aid dispenser for help, you are stressed out. They tried to “crank it up”, or gave you better hearing aids. You might have gotten some temporary relief and some more sound. The day comes when the hearing aid no longer helps. Now what? Stop! Exhaust all possibilities before moving ahead with a cochlear implant. Hearing aid technology advances fairly quickly. So current state-of-the-art hearing aids may help you more than the ones you got just a few years ago. Work with your audiologist to try different program settings, or new features which may not have been available in the past. If you aren’t sure that your audiologist is well-versed on the latest features, or may not be amenable to trying different approaches, don’t be afraid to work with a different audiologist. Cochlear implant surgery is irreversible, so you should make sure that your hearing loss cannot be treated with hearing aids before proceeding any further. Before you make an appointment with a cochlear implant clinic, find out if that clinic offers more than one manufacturer of cochlear implant. Not all clinics offer all devices. Not all the devices are the same and we do make our own personal choices in which device to get. Unless you have a particular deformity of the cochlea or ossification, the choice should be yours to make. In the case of a problem cochlea, your surgeon will most likely choose a device with a particular type of electrode for your problem. Use a clinic finder to see if you have more than one clinic within driving distance to your home. The best case scenario is to find a clinic that offers cochlear implant from at least two companies, so you have a choice. My first clinic did only one device, not the manufacturer that I wanted after doing my research. I had to appeal for an out of network clinic that did the one I wanted. You can many times find the clinic’s website online and check them out in advance. You can also sometimes make the appointment online. Let them know you are making the appointment for a CI assessment. On the day of your appointment bring all your previous audiograms and any other tests you have. You can ask your hearing aid dispenser for copies of all the test results they have for you. You will be filling out medical papers, your medical history, insurance information and all the usual paperwork you do for a new doctor visit. It helps if you can write all this down in advance before the appointment so you won’t forget anything. Most of the time you meet the surgeon first, they will talk with you and then send you over to the audiologist for some testing. Sometimes you see the audiologist first. 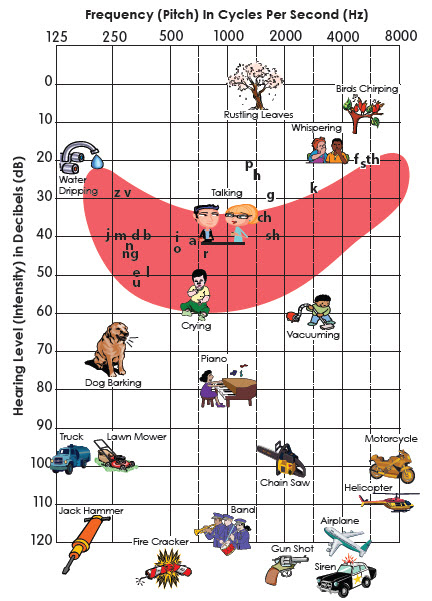 The testing the audiologist does is usually similar to hearing tests you have had in the past. You go into the booth and are tested on words and sentences and pitches or tones. You might be asked to repeat, or raise your hand etc. It’s important they know your actual hearing ability, so try not to make guesses or “fill in the blanks” on sentences and words. One interesting test might be a psychological test! Not all clinics ask you to take this test (mine did!) but it’s usually a one page question and answer test on what your expectations are for getting a CI. As long as you know there are no guarantees, you might or might not get “rock star” results. If you understand the CI is a tool and you must do rehabilitation work to get the best results, you should be fine with this test. CT Scan or MRI: These are done in a radiology lab or clinic to view your inner ear and cochlea. You lie on a table and a machine rotates around your head while you lie still. Since they are only looking at the inner ear, the test doesn’t usually last very long. Auditory nerve testing: Done in various locations and usually involves some electrodes placed on your forehead. You sit quietly for about 20 minutes while the equipment takes readings for neural function. ENG or VNG testing. These are tests for balance. They are basically the same test, the VNG uses special video goggles. This test involves putting warm and cold water in your ear canals, putting you into certain positions to track eye movement and see if you have one ear or the other that might trigger off vertigo. The surgeon sometimes uses this test to determine the best ear to implant. This test can take up to 2 hours. The surgeon will want recent test results, so if the previous testing done is over a certain age, you might find yourself having to have some tests repeated. Get those tests done as quickly as you can! After it’s all said and done, you will find yourself back in the surgeon’s office to go over the test results. The best news is that you flunked all your hearing tests! Doing poorly on a hearing test is usually stressful, but not this time! Your hearing is deemed bad enough to fit into the CI guidelines (most clinics in the U.S. use the Medicare guidelines). You ARE a CI candidate! I hope this article gives you an idea of the process in getting a CI assessment, and puts you on the road to better hearing! Make sure your insurance covers CI’s! Find out your co-pays in advance. Find out the referral process for your particular medical plan. Find a clinic, preferably one that offers more than one manufacturer. Get your testing done quickly. Once you are a candidate, start researching your choices. It’s a big decision, take your time and research well. The assessment process for CI candidacy in the UK is similar. There is some debate around the criteria and testing used to determine whether you are a cochlear implant candidate or not. Myles de Bastion published a critique of the NICE guidelines for CI candidacy, ‘The Bumpy Journey to a Cochlear Implant: NICE Guidelines: Introducing a Flawed and Discriminatory Practice’.